First, let's be perfectly clear - if we ignore the toxic buildup, within our body, we are at high risk for disease. Everybody is toxic - it's just a matter of degree. But, if you'll allow me to explain, rushing into a detoxification program could be a deadly mistake. Discover solutions for a toxic world. On the next NaturalNews Talk Hour, Jonathan Landsman and Dr. Edward Group talk about the health risks associated with toxins and how to safely (and effectively) detoxify the body. Find out how to properly lose (unwanted) excess weight, increase your energy level plus much more. Can detoxification programs cause harm to human health? The short answer is yes! Now, don't get me wrong, I think we should do everything possible to avoid toxins and get rid of chemicals - inside of us - that can cause dis-ease. But, before you rush out to spend money on a detox kit - there are a few things to consider. 1. Avoid the poison. Most health experts would agree - we must re-evaluate everything we eat and drink before starting a detoxification program. So many of the foods offered in supermarkets and restaurants are loaded with dangerous chemicals - like genetically modified organisms (GMOs), MSG, and artificial sweeteners. 2. Reduce intestinal inflammation. Most people never consider the health of their digestive system - before starting a detoxification program. Keep in mind - the 'mobilization' of toxic debris does not necessarily equal elimination. In other words, if you have gut issues - these toxins, which get released from fatty tissue, can be re-distributed and absorbed in other parts of the body including the brain. 3. Watch your nutrient intake. Many people get overly-enthusiastic about 'cleaning out' the body and they forget about replenishing vital nutrients. For example, water fasting should never be taken lightly and, if you have no experience with fasting, please consult a trusted healthcare provider. Detoxification programs increase the stress on several organs including, the liver and kidneys. So, be sure to consume plenty of antioxidants - like vitamin C - to minimize the threat of oxidative stress. A good detoxification program can help you lose weight, eliminate fatigue, boost your memory and intelligence. Learn how to remove unwanted chemicals - safely and effectively - without harming the body on the next NaturalNews Talk Hour. 1. Don't give up on the 'first try'. In other words, healthy detoxification strategies are lifestyle habits - not a "magic pill". And, while results are important, we all have our own individual differences and requirements. For example, constipation may not be resolved with a powdered product - but increasing your water intake may do the trick - especially if your health problem stems from dehydration. 2. Stop wasting your money on ineffective products. A toxic body can cause brain fog, memory issues and physical pain. These toxins can be linked to cellular inflammation - a major risk factor for disease. Before starting an expensive detoxification program, your health may improve by simply removing toxins from your immediate space. For example, remove mercury-based tooth fillings, chemical-laced household cleaners and clean up your indoor air space by purchasing more house plants or a high-quality air filter. 3. Don't overdo it. Back to my prior point - being too 'enthusiastic' about cleansing can be dangerous. For example, do you think drinking more water will help you? 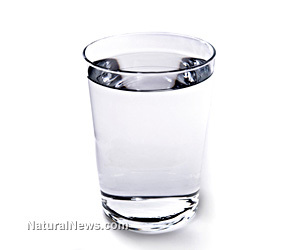 That's good - just be sure to drink pure (non-contaminated) spring water - get it tested. Or, use a high-quality water purification unit to remove unwanted elements like, fluoride and chlorine. Lastly, many people believe that an 'effective' detoxification program (naturally) produces undesirable results. That's simply not true. Sure, at the beginning, you may feel a little more sluggish - but, generally speaking, your energy levels should soar and your mental clarity should improve. On the next NaturalNews Talk Hour - Jonathan Landsman and Dr. Edward Group talk about why detoxification is so important; the best ways to start a detox program plus many great tips. Dr. Group founded Global Healing Center in 1998 and is currently the Chief Executive Officer. Heading up the research and development team, Dr. Group assumes a hands-on approach in producing new and advanced degenerative disease products and information. A decorated member of the Armed Forces, Dr. Group received two Army achievement medals - a good conduct medal and an overseas ribbon - and was honorably discharged from active duty in 1989. Dr. Group has studied natural healing methods for over 20 years and now teaches individuals and practitioners all around the world. He no longer sees patients but solely concentrates on spreading the word of health and wellness to the global community. Under his leadership, Global Healing Center, Inc. has achieved the status as one of the largest alternative - natural medicine resources on the Internet. Improve your health naturally. If you're interested in preventing, even reversing disease - then you'll want to incorporate a good detoxification program into your life. Most natural health experts emphasize the value of detoxification and the results are truly amazing. Join us for a great show!